Last year, I posted a weekly summary on the class web page to inform parents about what their children learned or experienced in my class. 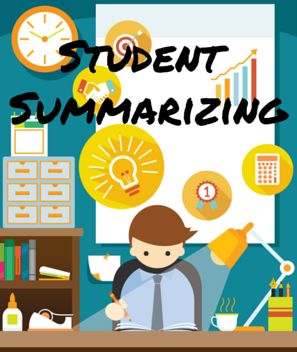 This year, because I'm a big believer in students working as much as I do in my classroom, I decided to let the students do this, so Friday when they entered the room, they completed a starter activity: Summarize what you learned this week in five sentences. Next, they met in their groups and combined their individual summaries into a group summary. Last, a representative from each group met at my computer to combine group summaries and write the final weekly summary blog post. Considering it was their first time, they did a pretty good job. You can read these at www.mrsmichaeltap.blogspot.com.